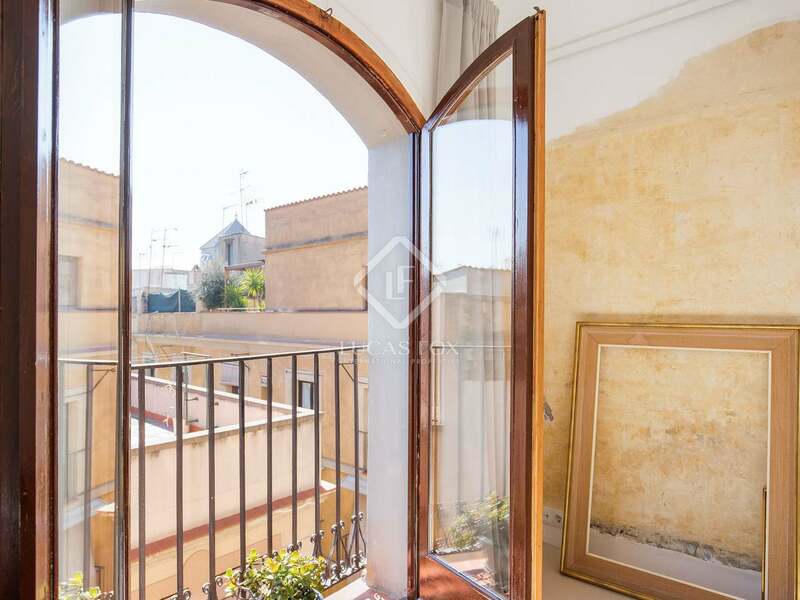 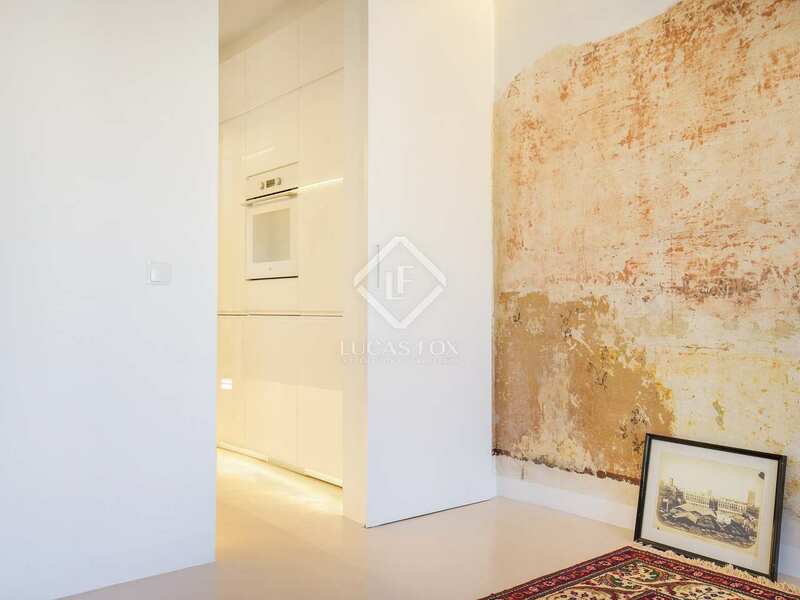 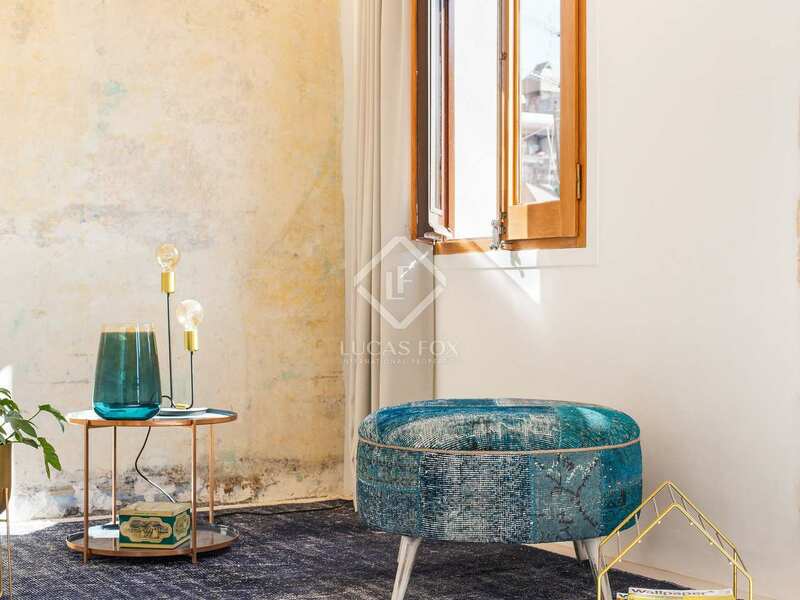 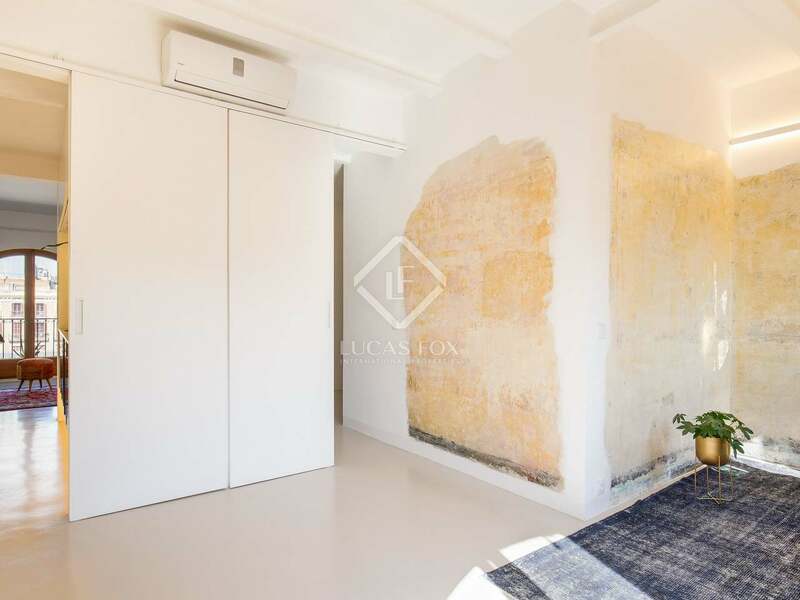 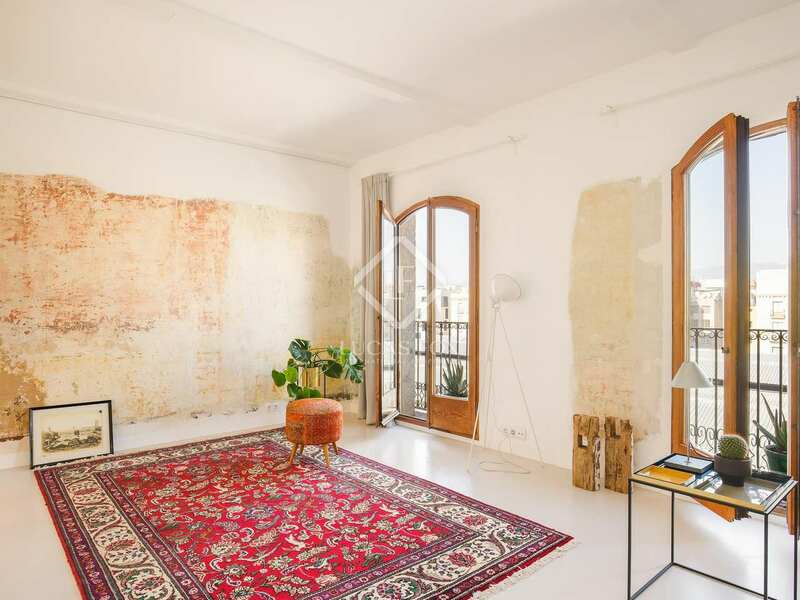 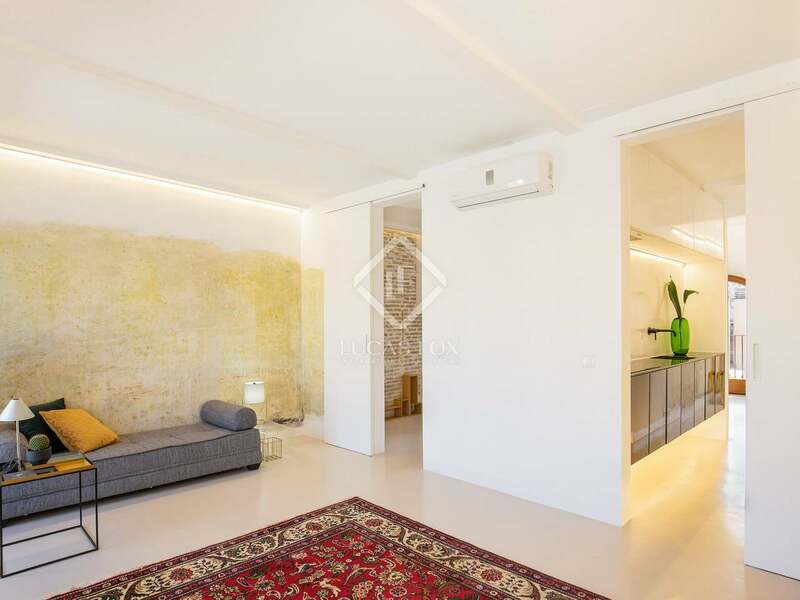 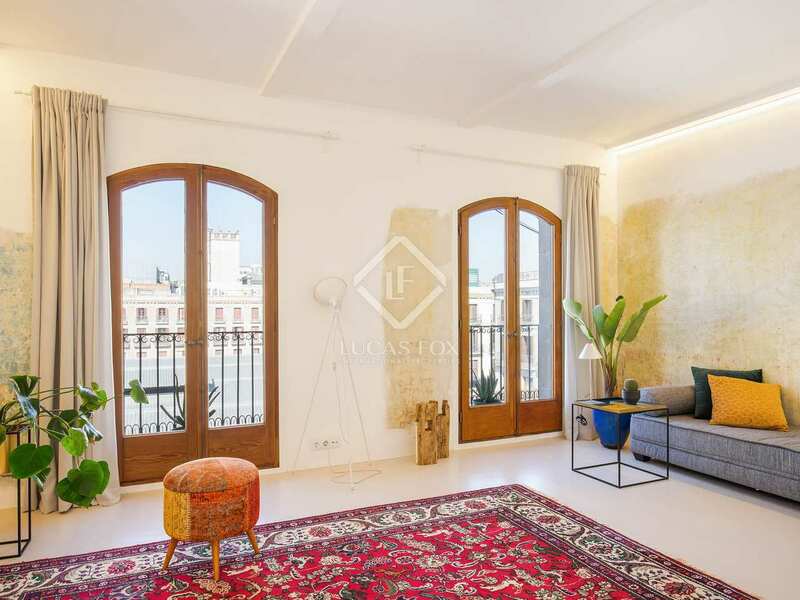 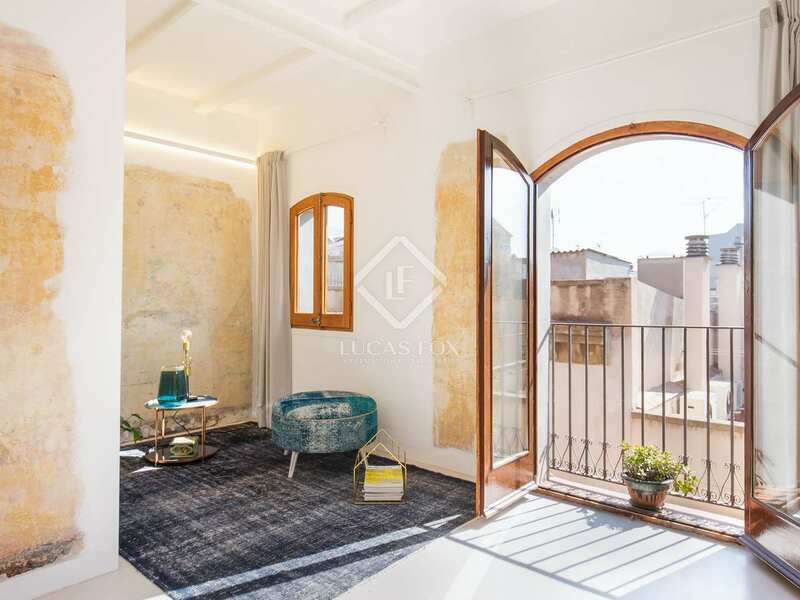 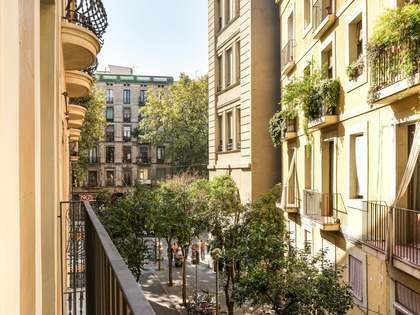 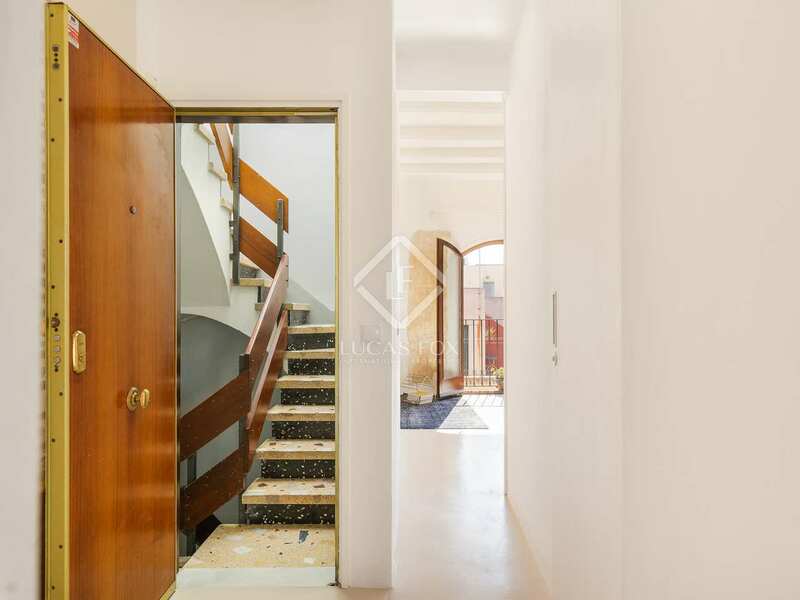 This fantastic 55 m² apartment is a unique and very special home just above the world famous Boqueria market on Las Ramblas and with amazing view to the Collserola mountains. 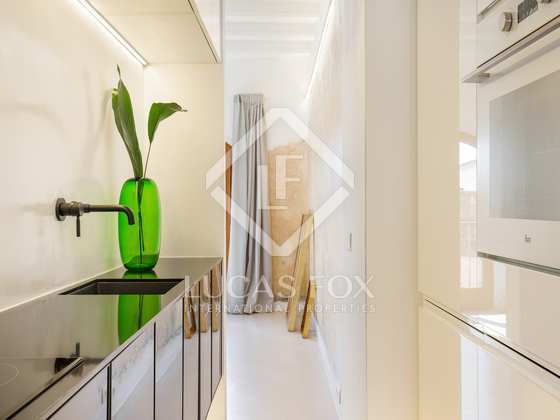 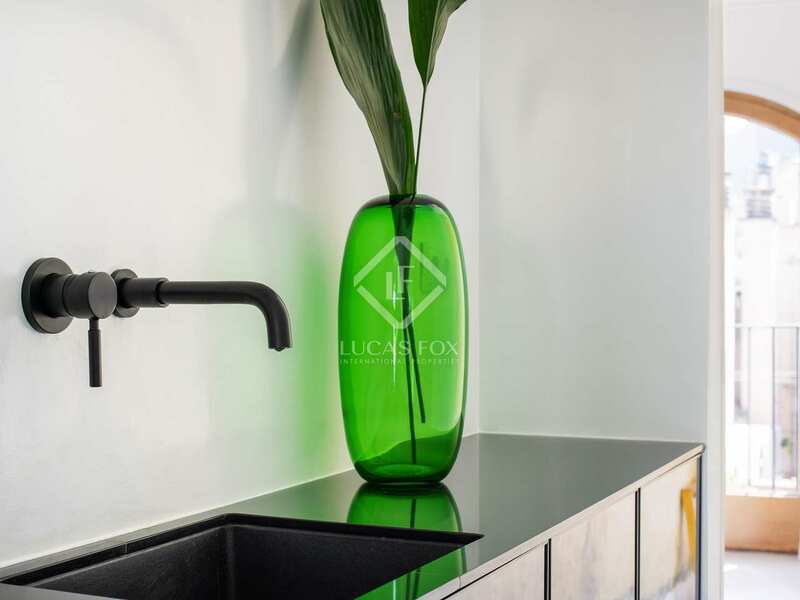 The property has undergone full renovation with high quality finishes and a very practical layout: designed without corridors the available space is fully optimised. 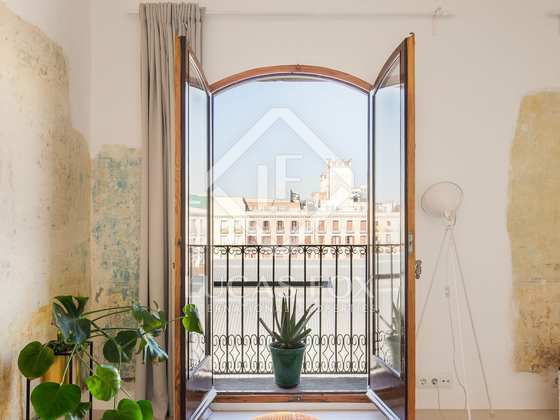 The apartment is on the fourth floor of a listed building without a lift which dates back to 1880, there is a communal terrace on the top floor and access to a communal storage room. 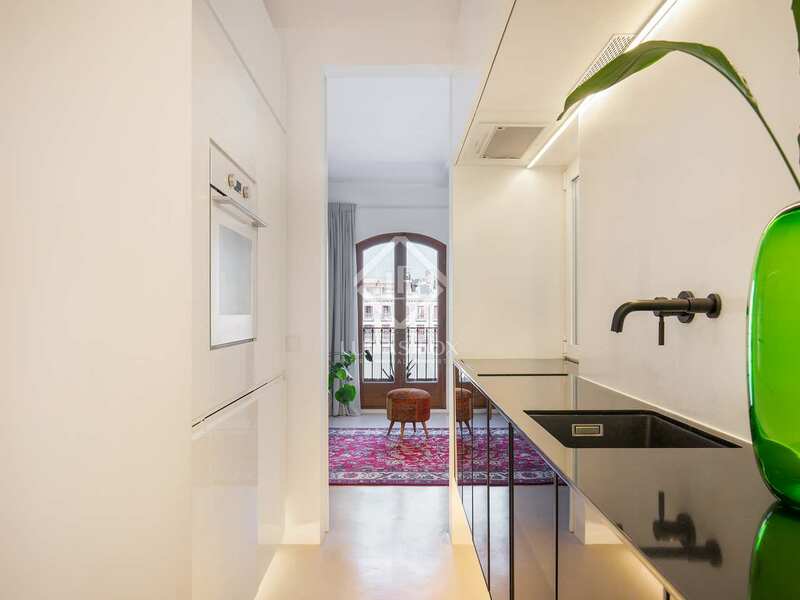 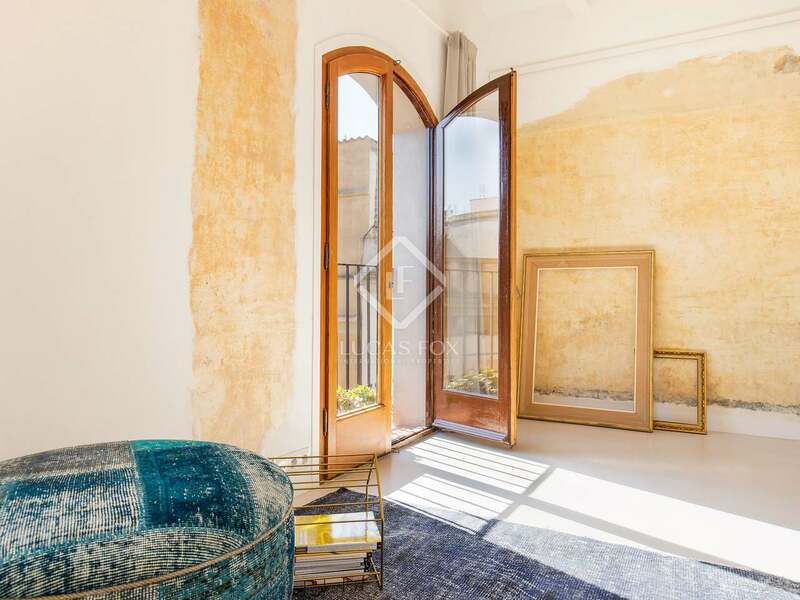 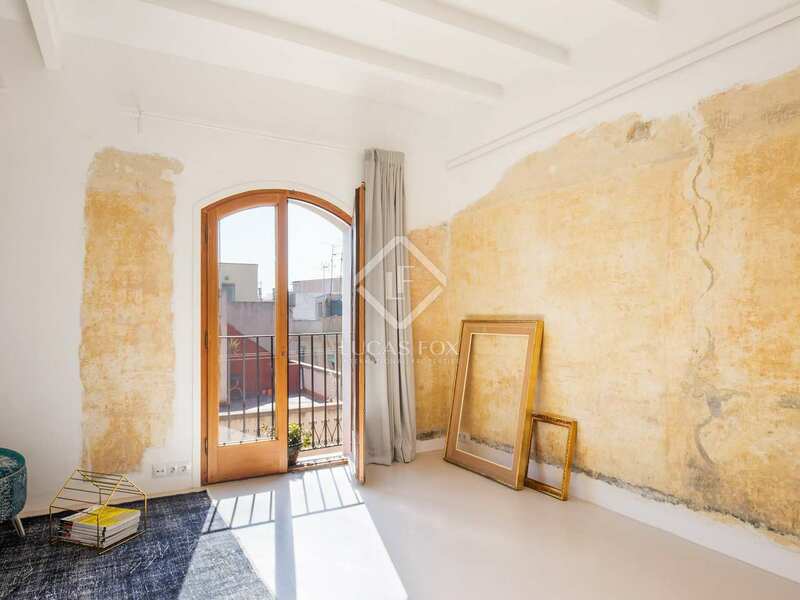 A perfect opportunity for those seeking a very special investment or pied-à-terre in the historic centre of Barcelona. 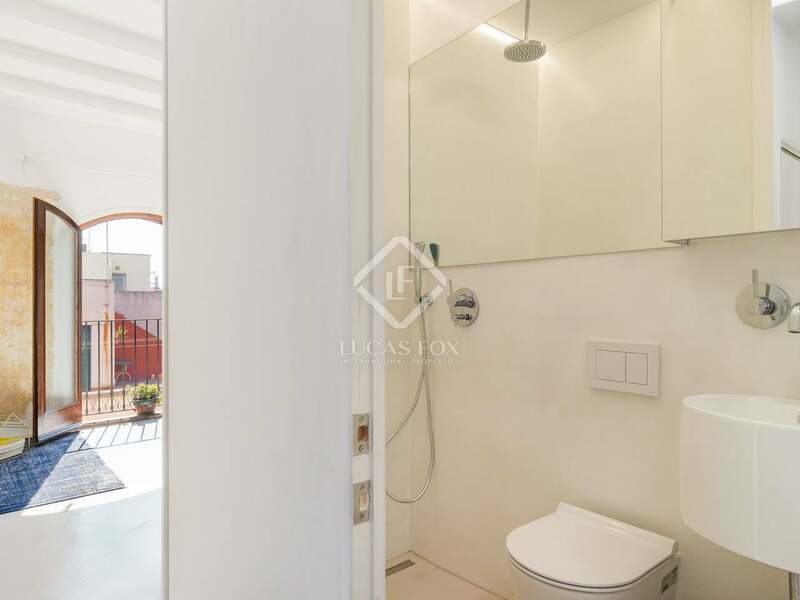 On entering the apartment a hallway leads to a bathroom with a shower. 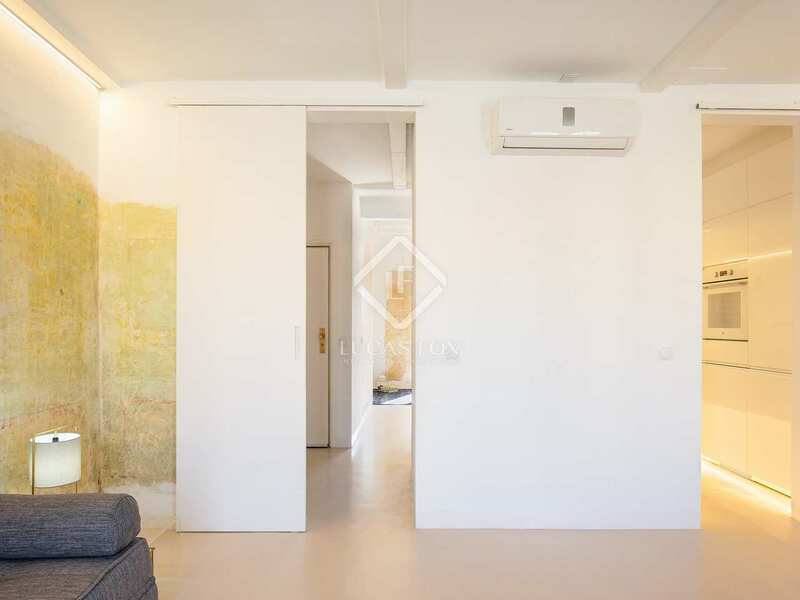 To the left and right there are 2 large rooms, each with 2 windows they are both warm and welcoming spaces. 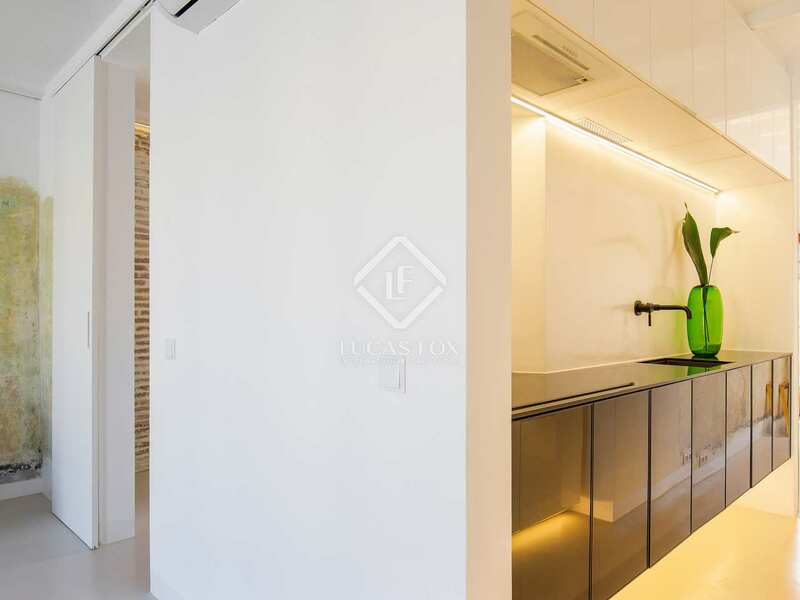 The designer kitchen was made to measure and, with an elongated shape, it can be accessed from both rooms. 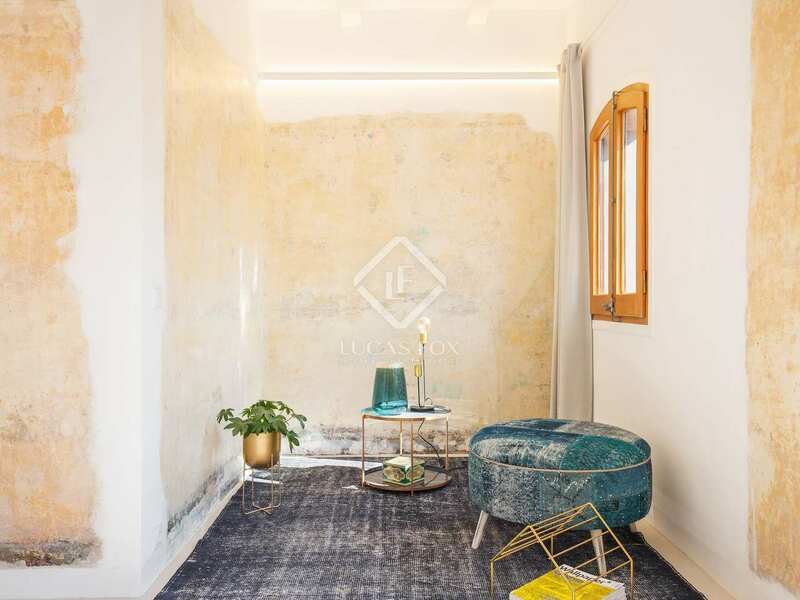 The layout of this apartment means it can be perfectly adapted to the client's needs: the day area could be located in one of its spaces and the night area in the other, or it could be made into a shared home by creating 2 independent lofts that share the common areas. 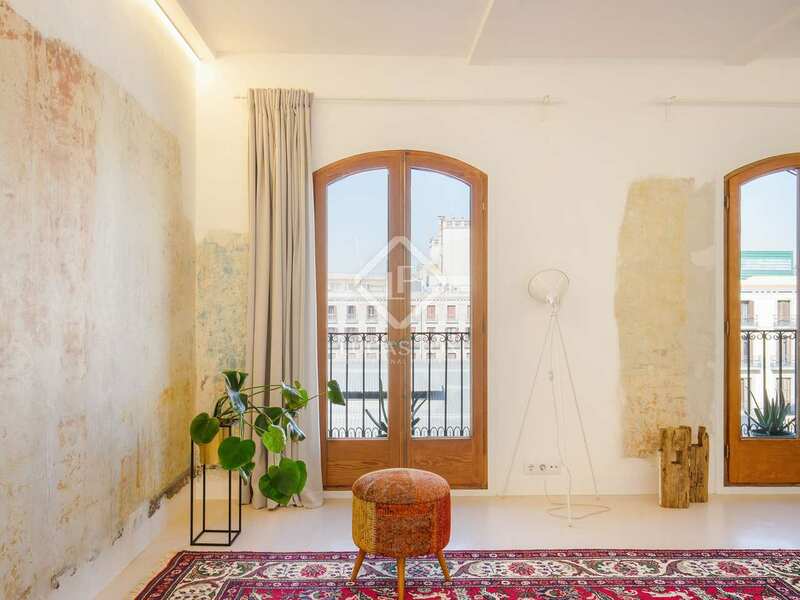 This house has microcement floors and stripped walls with original paintings from over 120 years ago. 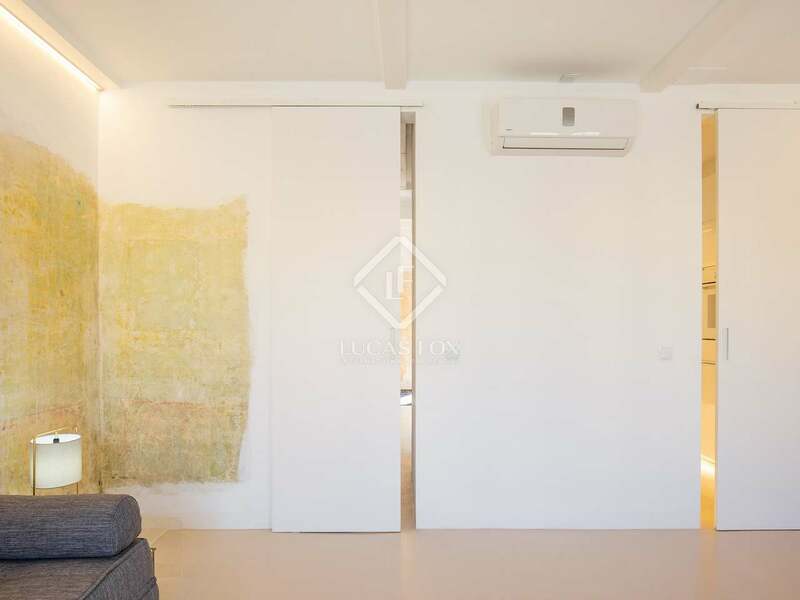 The property is equipped with air conditioning, heating and double-glazed windows to ensure comfort throughout the year. 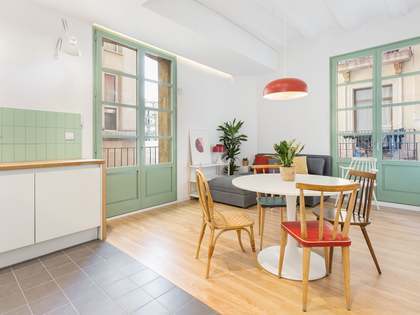 Contact us to visit this special property in the historic centre of Barcelona. 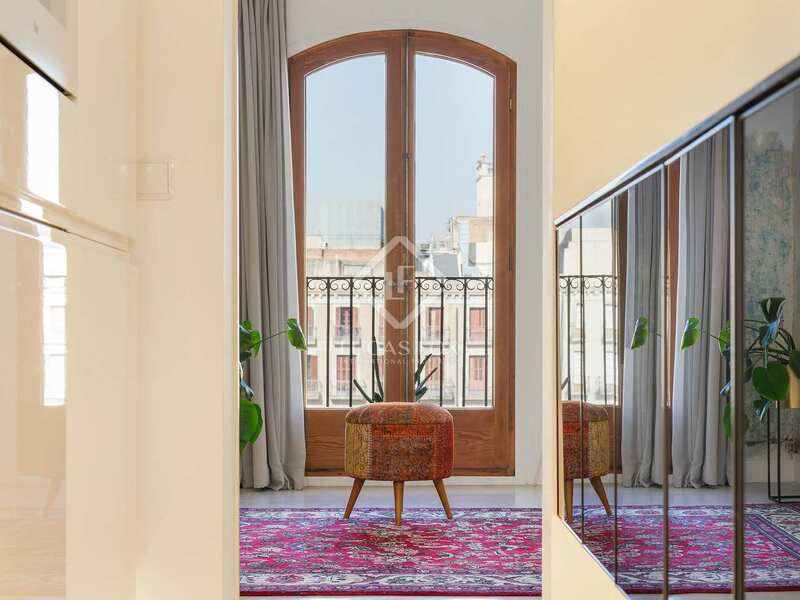 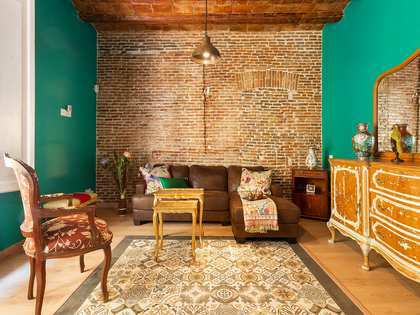 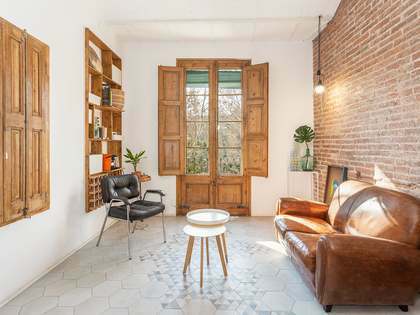 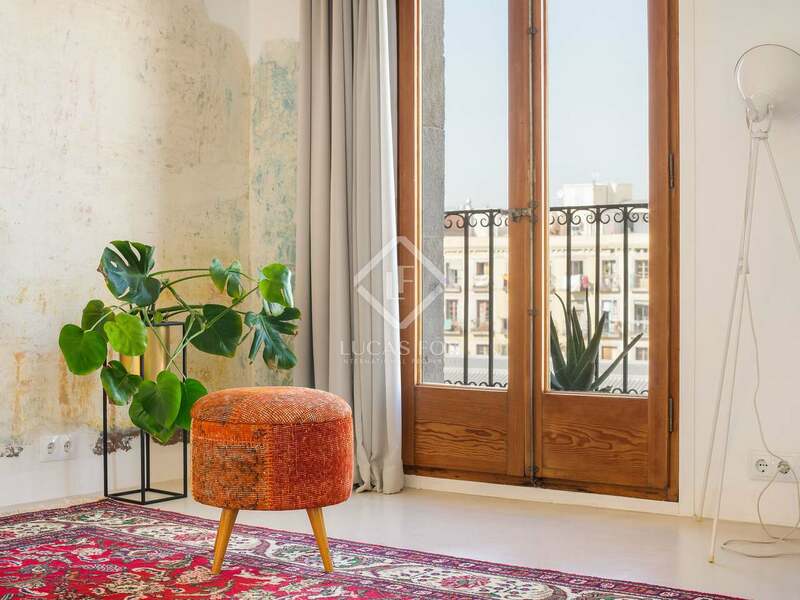 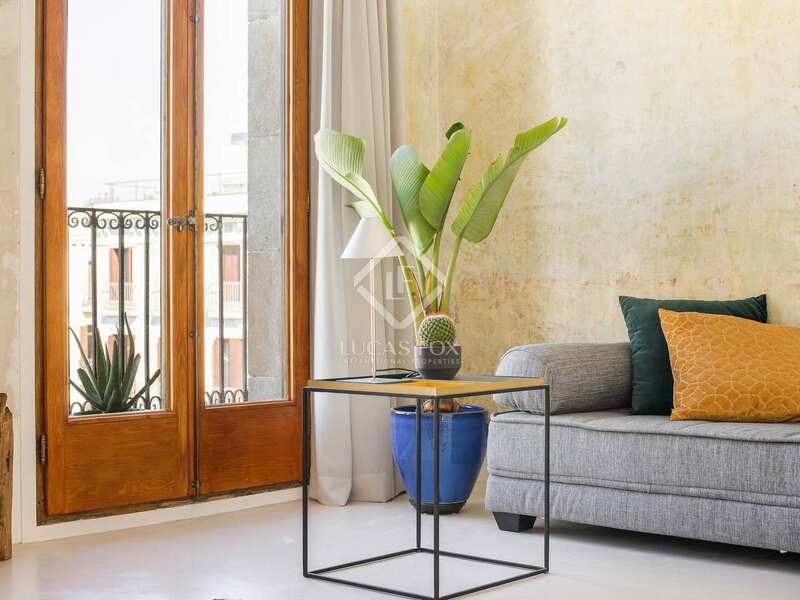 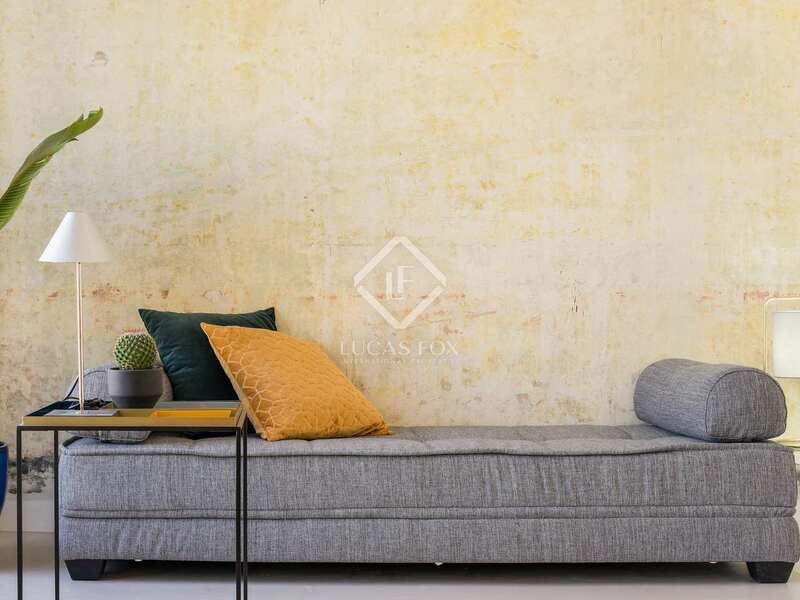 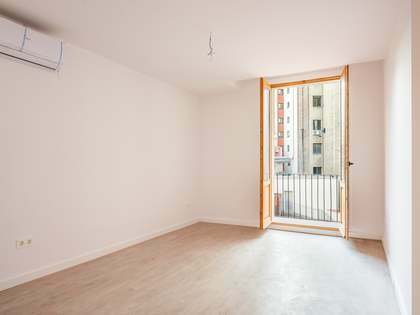 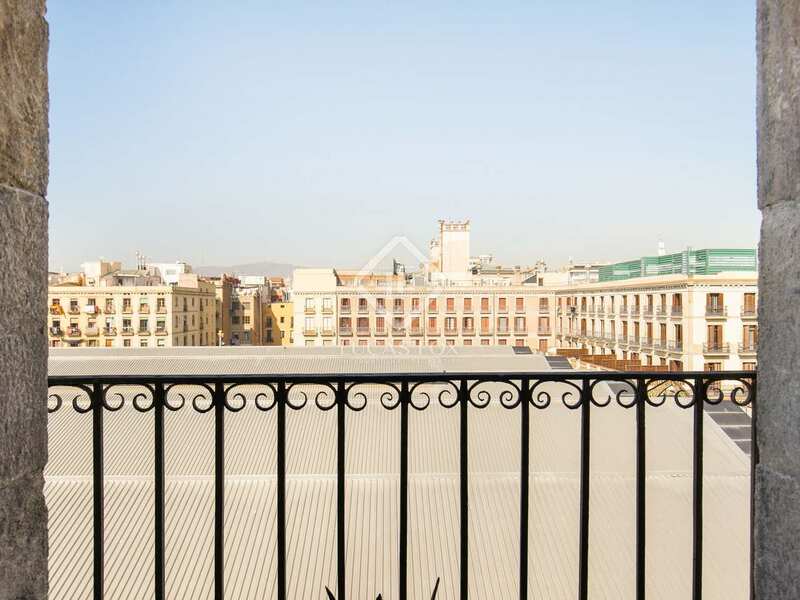 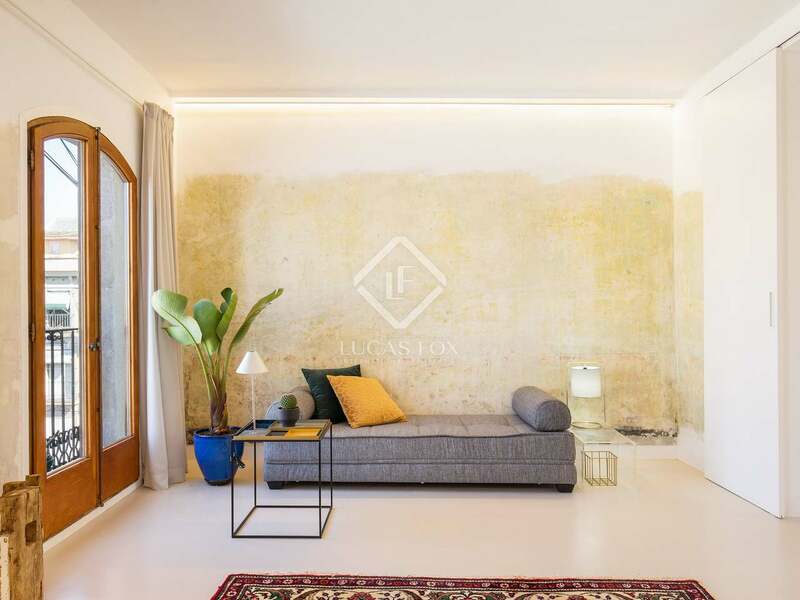 The apartment is located in El Raval, close to restaurants and bars, health services, schools, pharmacies ... in short, everything needed for comfortable everyday living. 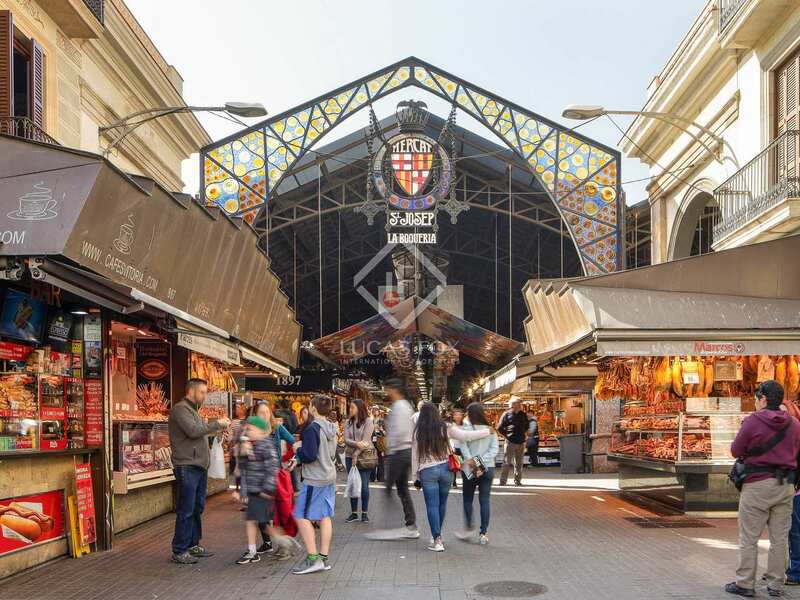 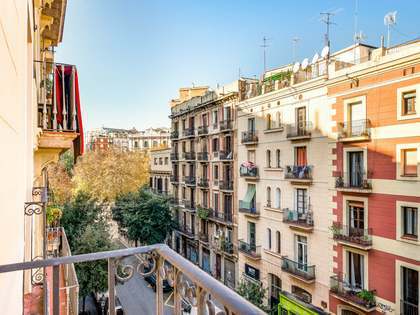 It is also next to Mercat de la Boqueria, and a pleasant walk away from many of the most emblematic points of the city, such as Las Ramblas, Plaça Catalunya and Plaça Universitat, among others. 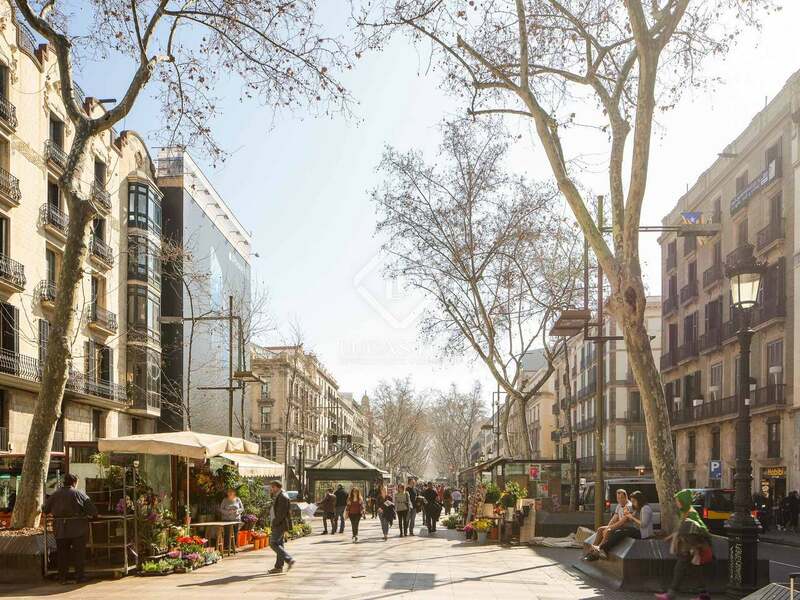 Public transport connections are excellent as it is close to the metro stations of Liceu and Plaça Catalunya, and multiple bus stops.